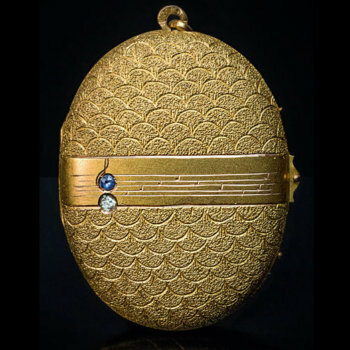 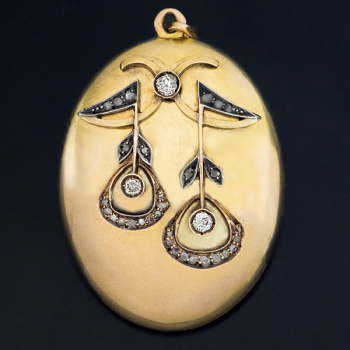 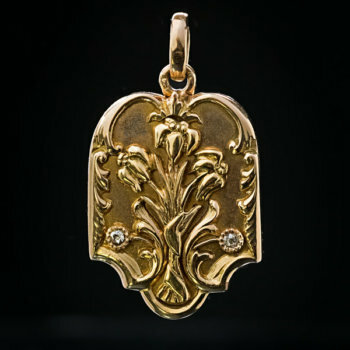 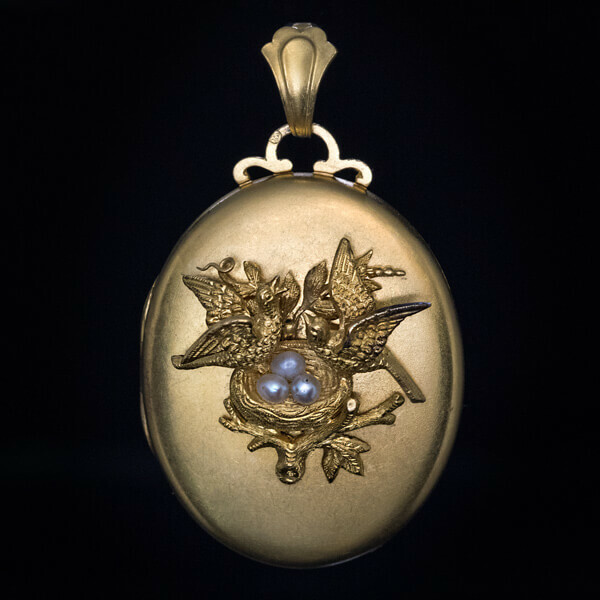 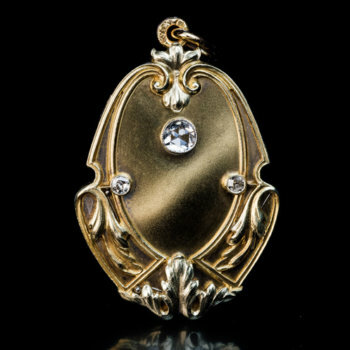 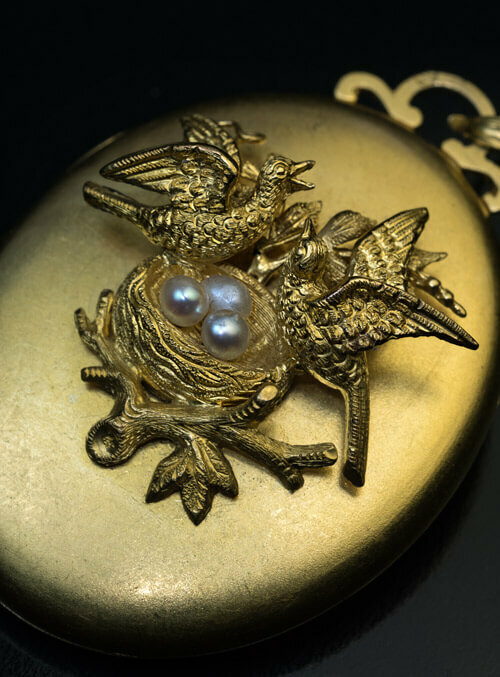 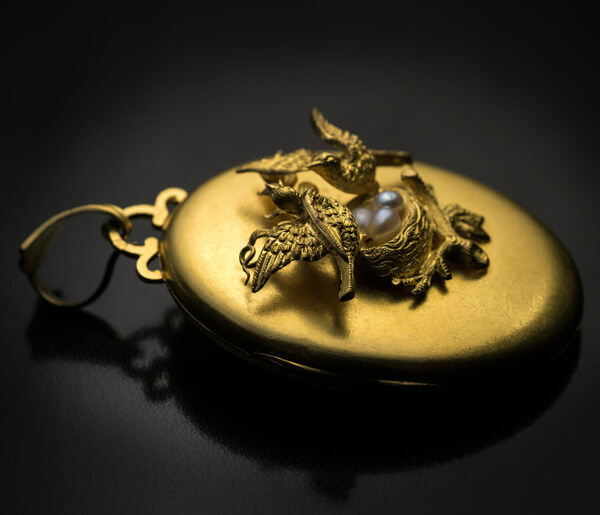 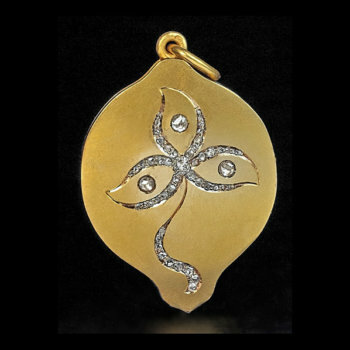 A striking antique 14K yellow matte gold locket pendant is decorated with a superbly detailed hand-engraved three dimensional scene: two birds perched upon a nest holding three eggs (pearl), tree branches in background. 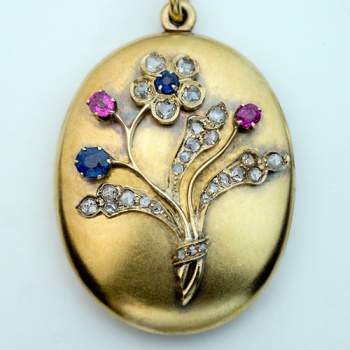 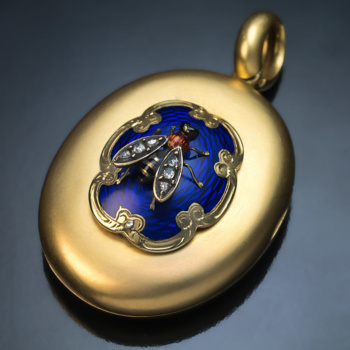 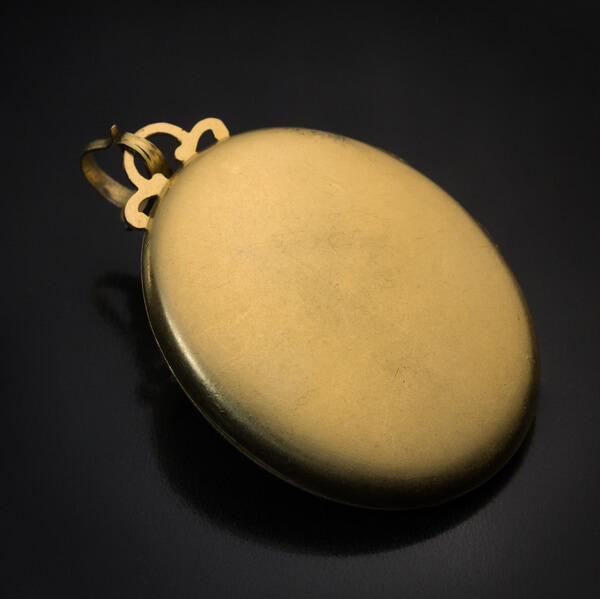 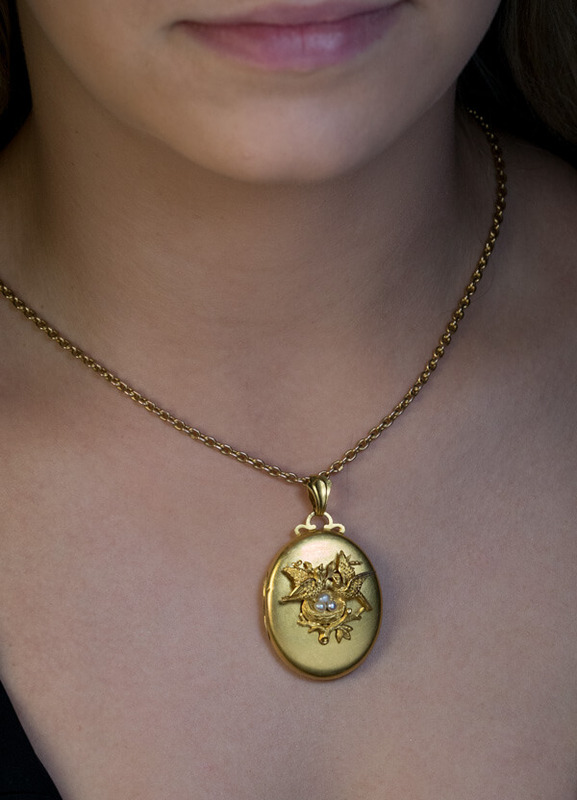 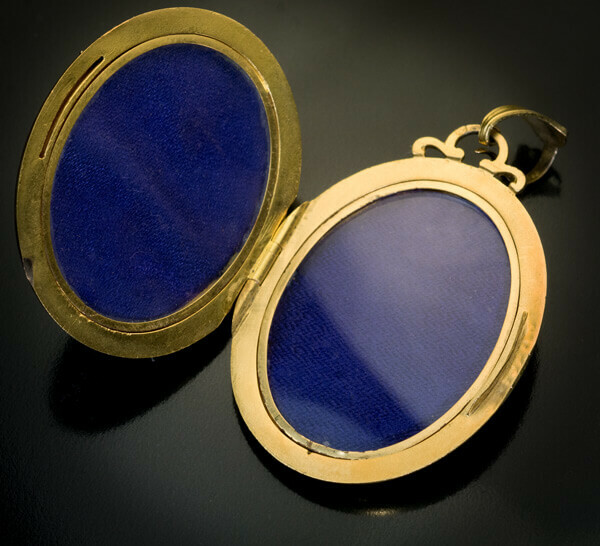 The interior of the locket is fitted with two miniature glazed picture frames. 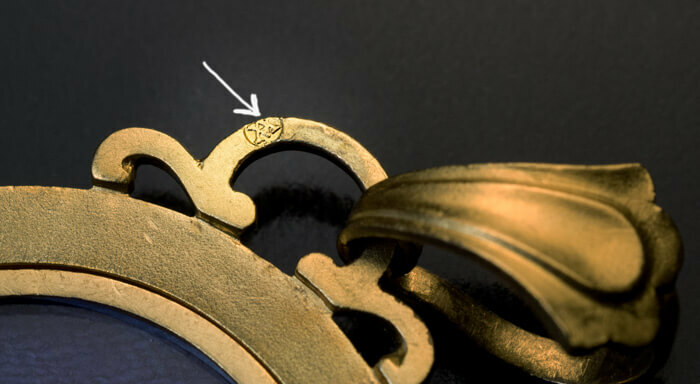 Marked on the bail with Austro-Hungarian 1868-1872 import mark.